I'm a bit out of kilter with the rest of Blogtober for this post but I don't do zodiacs and stuff so I had a bit of a juggle around. And this is probably something I will have a lot to say about! Ahem. As you were. So that brings me to the first of my favourite shows. Arrow. Except I didn't watch Season 4 because of all the magic, sorcery and stuff that went off. Not my bag. I'm hoping Season 5 will steer clear of magic and just get back to the salmon ladder awesome plot. 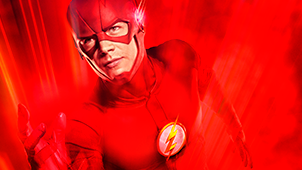 A spin off from Arrow, this follows the speedster, otherwise known as Barry Allen. There was a very poignant episode where Grant Gustin basically cried his way all the way through it but he carried the storyline well and the episode received rave reviews. Season 3 kicks off with Flashpoint, where Barry has changed the timeline. Again. Both Arrow and The Flash are created by the CW and they have recently added Supergirl to their DC lineup and I cannot wait for the promised musical crossover of The Flash and Supergirl! It's going to be awesome. There was a Flash and Supergirl crossover in Season 1 of Supergirl and it was hilarious. And just to keep us going, the CW created their own version of Fight Club to whet our appetites! I'm not sure which bit of this I loved more. Brandon Routh having to star opposite Supergirl, or poor old Diggle yet again not being informed about someone's abilities. I can't wait for this lineup to return to Sky. Another show I am hugely excited for is Scorpion. Basically a bunch of highly intelligent individuals who are totally lacking in social skills but are hired by Homeland and various other organisations to save the day on a regular basis. The plots are ridiculous but I love them because of that. The remind me of MacGyver. 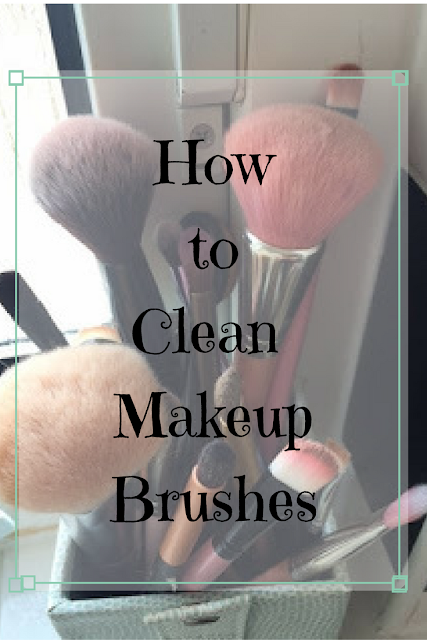 Because they pretty much MacGyver (yes, that is a verb) their way out of every situation. It is also a show close to my heart as the main character, Walter O'Brien, is so definitely autistic, as is the lead girl's son. I also look forward to the NCIS line up, although the original NCIS is going to be strange this year without Michael Weatherly's character, Dinozzo. However, NCIS LA and NCIS New Orleans are keeping their usual and strong cast. NCIS LA makes me laugh as the cast obviously have such a dynamic between them. Half the time I have no idea what the plot is about but I love the interaction between the whole team. Code Black is back this year - if you missed it last year it is a medical drama set in an overworked and understaffed hospital in LA. It's extremely accurate in it's depiction of medical procedures, the hospital is messy and busy, and things go wrong. But the cast is amazing and the storylines are well written and it's not soap opera style. I am really looking forward to this one coming back. Apparently CSI: Cyber is back for another year. I had heard this had been cancelled but apparently not. It's good. It's a different take on a police procedural. I don't understand a lot of the tech speak but I am glad it got renewed. Other favourite police procedurals which should be back are Rizzoli and Isles (hilarious! ), Bones (for it's final season), Mysteries of Laura and Elementary, although Mysteries of Laura usually airs more in the spring. I love the New York take on Sherlock in Elementary and Jonny Lee Miller is fantastic Holmes. Big Bang Theory is back this week on Thursday 20th October, which is always light hearted entertainment. The problem with the US shows is that they always have breaks over Thanksgiving and Christmas and Spring Break so I tend to lose the flow a little bit. So as there's rather a list above, I tend to save some series to watch in the breaks, or in the summer hiatus. I'm currently watching last year's Bones! So that's the American shows returning this fall (!) that I'm looking forward to. I found a superb website which lists all the TV shows and when they're airing in the UK, called Geektown. It's worth favouriting if you are a fan of US TV. This brings us onto the UK TV shows. Firstly, how can I not mention the nation's favourite baking show, Great British Bake Off. I love this show. I've watched it from the beginning. I don't bake a lot but it's such a lovely, British programme. I was gutted when I found out Channel 4 had bought the rights to the tent. It will NOT be the same. So many gifs, so little time. Oh yes, the wonder that is Sherlock. I often ponder whether it would be quite so popular if there were more episodes? It is astoundingly well written, although I usually have to watch an episode two or three times to work out what exactly happened. You will be glad to know that I have now reached the end of this post, which is sponsored. 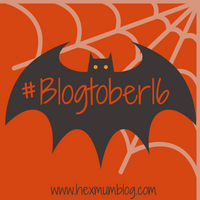 Although I have not followed the prompt for today, please follow the bat to check out the other submissions for #Blogtober16.